The title of this article is quite unashamedly taken from a series of articles which appeared in the Model Railway Enthusiast a number of years ago. The articles were a particular favourite of mine; nostalgic, always interesting and informative, featuring the rare and the unusual alongside the common tank wagons and, importantly from my collecting perspective, often focusing on a Tri-ang or Hornby model. 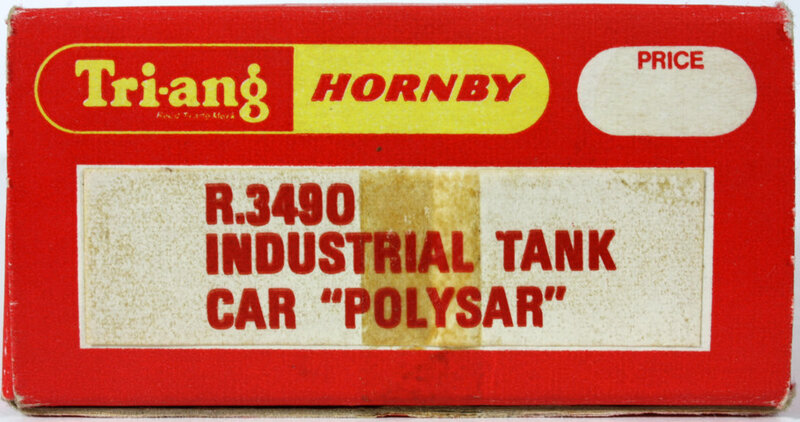 The Tri-ang Hornby Polysar Bogie Tank Wagon has always been an elusive model for the collector. The 'Polysar' is arguably the scarcest of all the bogie tank wagons. It seems that in 1969 the Canadian company of the Lines Bros. Group, along with Australia, wanted a 'Shell' version of this same wagon then the Canadian company changed its mind and asked for the 'Polysar' version instead. 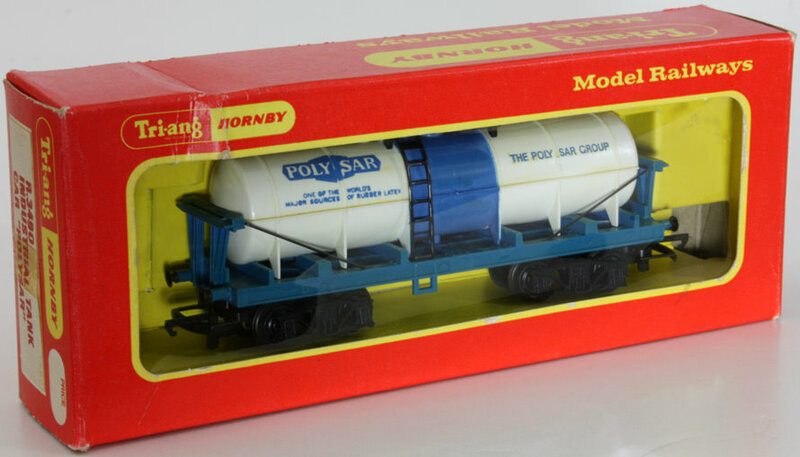 The 'Shell' model never reached the production stage but by May 1970 the Polysar Bogie Tank Wagon was ready for shipping to Canada. The R3490 POLYSAR INDUSTRIAL TANK CAR was first illustrated in the 1970 Canadian catalogue and continued to the end of the Canadian range being last featured in the 1973-74 edition. About 6,000 were made. Some were also used in Australian sets and about 600 were sent out to New Zealand in 1972. This model was not available individually for sale in the UK; featuring only in the RS.102 Express Freighter Set of 1972. Very scarce, first batch of production. Available only in Canada in 1970. The tank body is moulded in white plastic which has a dull surface finish. The chassis is in BR blue plastic - identical to that of the R666 BR Cartic Car Carrier. The ladders and top tank platform are black. The lettering is heat printed in dark blue, including the whole of the central part of the tank. The lettering of the POLYSAR logo is fine - note the horizontal strokes of letters ‘L’ and ‘A’ are incomplete. Although still a scarce item, this is the most frequently found of the three model types. The tank body is now moulded in off-white plastic which has a shiny, slightly opaque finish. The chassis is now in a bright blue plastic, known as rainbow blue - identical to that used for some starter set wagons. The ladders and top tank platform remain in black. The lettering is heat printed in bright blue, including the whole of the central part of the tank. However, the printing quality is less crisp and the lettering of the POLYSAR logo is thicker. Rare, late issue which has been found in some examples of the Australian sets. 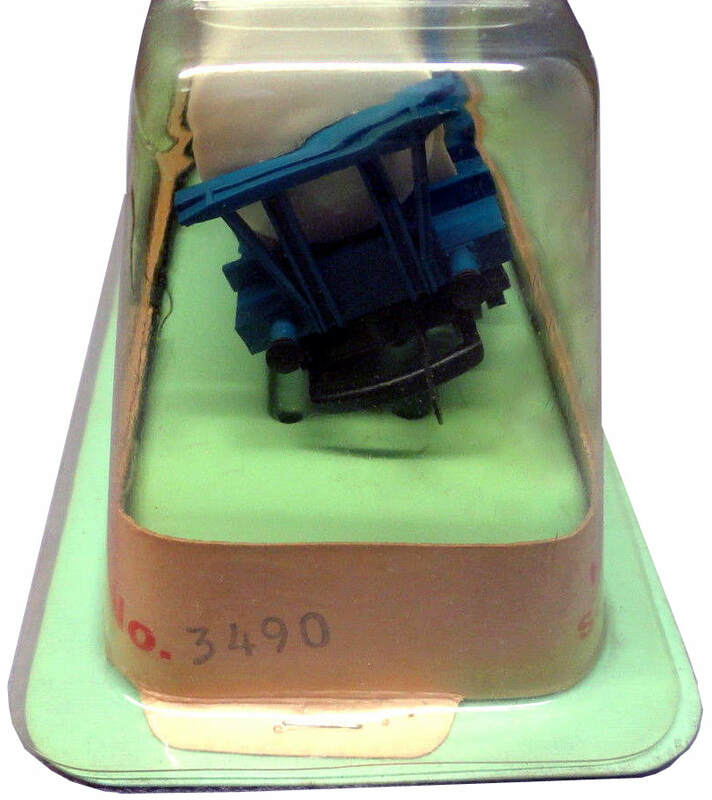 As Type 2 but with the top tank platform now moulded in the off-white plastic as used for the tank body. The quality of the printed POLYSAR logo is quite poor as the printing tool is now showing signs of obvious wear - note, in particular, the letter ‘P’. Polymer Corporation was a Canadian federal crown corporation established in 1942 to produce artificial rubber to substitute for overseas supply cut off by World War II. A factory was established in Sarnia, Ontario where, using German patents from an American licensee, Polymer produced 5000 tons of artificial rubber from oil every month. The product was used in everything from tyres to airplane parts. The company was also involved in the petrochemicals industry, primarily in the production of polyurethane. 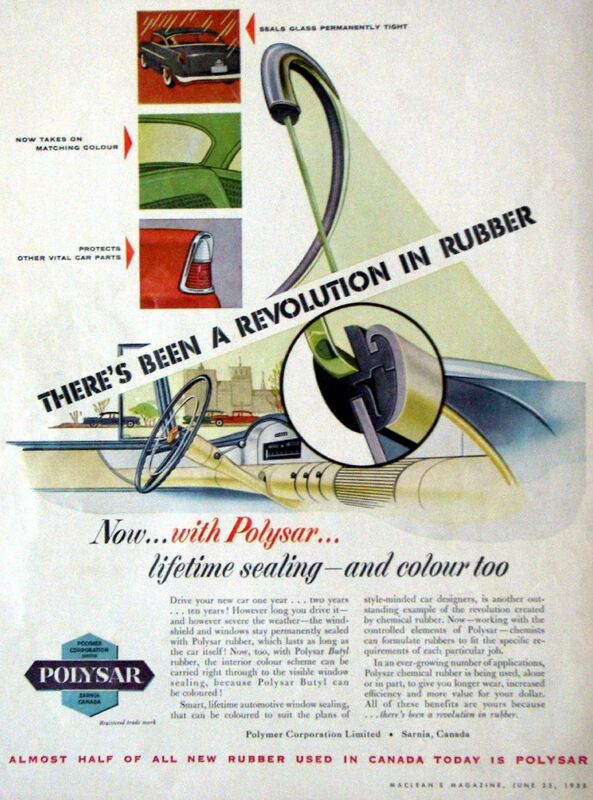 It was renamed Polysar in 1976 and the rubber component became a subsidiary, Polysar Rubber Corp.
Polysar Rubber Corp. was sold in 1990 to Bayer AG of Germany. The original article is now available in downloadable format. Please click on the link below.